The random number generator has chosen my favorite single player game OF ALL TIME!!! The game is Super Mario Galaxy 2. It came out in early 2010 at the end of my Senior Year of High School. 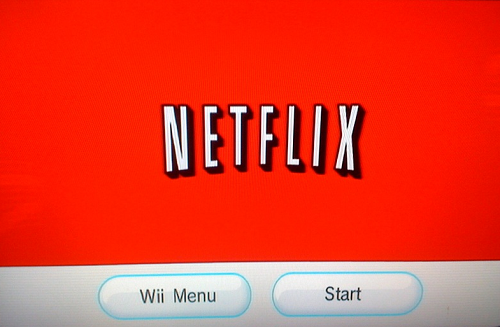 At the time, I still didn’t have a Wii, but that’s beside the point. I remember that Nintendo used their YouTube channel really well to hype this game up. They uploaded trailers in the form of purposefully glitchy videos with upside down video titles as if they were sent through space. Here’s a sample of a trailer that was re-uploaded by a fan and was thus preserved. I remember that I really kept up with these trailers. 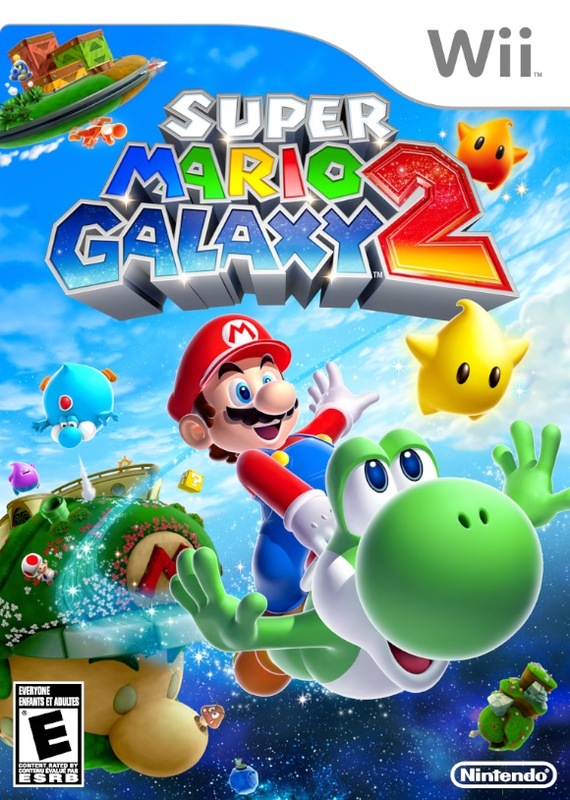 I don’t usually pay attention to games much until they come out but Super Mario Galaxy 2 was an exception firstly because the game looked so good and secondly because the trailers were so fun. That was my favorite trailer of them all because it showed us a huge reference to the Mario game that started my 3D Mario adventure; Throwback Galaxy AKA Thwomp’s Fortress from Super Mario 64. 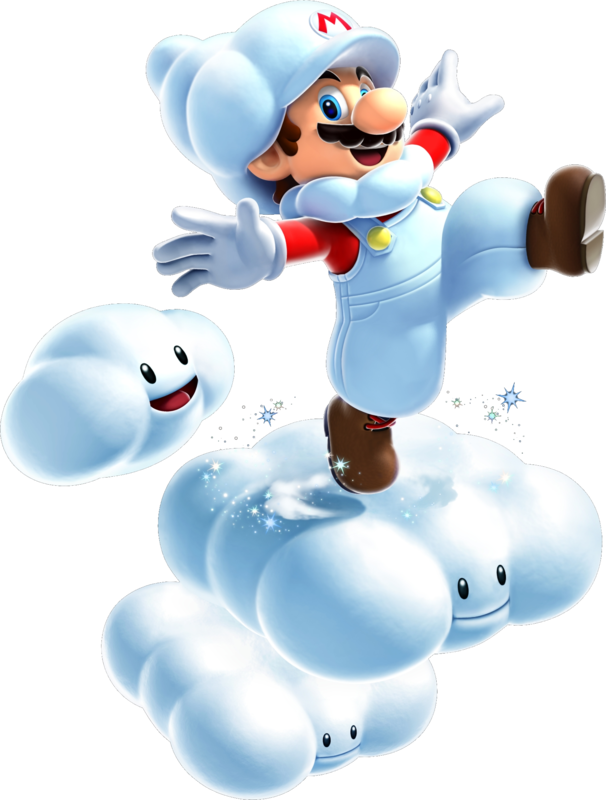 At the time, my favorite single player game of all time was Super Mario Galaxy 1, but in basically every way Super Mario Galaxy 2 was better. It was almost like DLC for Galaxy 1, as there was no overlap in the two experiences. It was just the addition of some really awesome levels. Sure, you may fight a boss again in Galaxy 2 that you already fought in Galaxy 1, but you’re using a different power up, so it’s a different strategy involved. There was a countdown on Nintendo’s web page for Super Mario Galaxy 2’s release date, but after it reached zero, it started going up. I recorded this video of peoples’ reactions. I actually had a bit of trouble securing a system to play this game on. As it turned out, my friend Jonah had become fed up with me borrowing his Wii System for so long a period of time, so I couldn’t actually use his anymore. For some reason, my friend Nick’s Wii wouldn’t work with the game either. For a while, my only solution was bringing Galaxy 2 and an SD card around with me wherever I went, playing whenever I could use someone’s Wii. This process was ridiculously slow, so after getting about 70 stars this way, I realized that I really needed my own Wii to fully complete the game. Around this time, a new edition of the Wii surfaced. 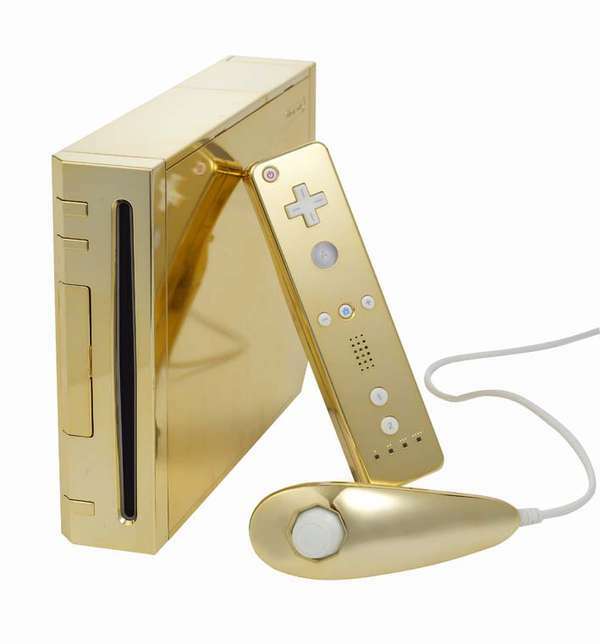 The best Wii System ever is actually the Royal Wii, which is owned by the Queen of England. I had held myself back from asking for a Wii system for a long time, but it felt like the time was right to ask for one for Christmas. 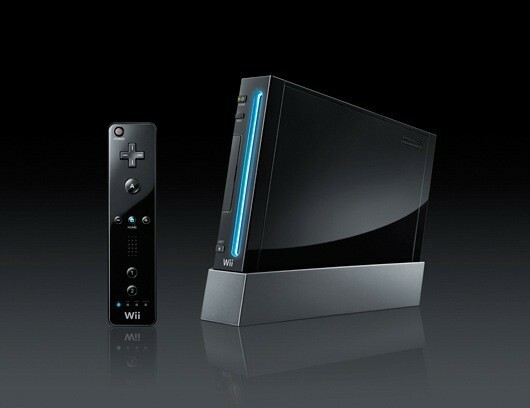 Not only did I want it to play Galaxy 2 but also to play the Zelda game for Wii that would be coming out (Skyward Sword). I had just finished the existing Zelda Series that summer while my Galaxy 2 progress was in a halted state. So, I asked my mom for the Black Wii System, and the first Christmas I came back from College, it was under the tree. I was worried that my dad wouldn’t be too happy about it, but he didn’t mind. In fact, that Christmas break, along with furiously playing through Galaxy 2 from scratch (I decided to start the game over), I taught him how to use Netflix. He was very impressed. 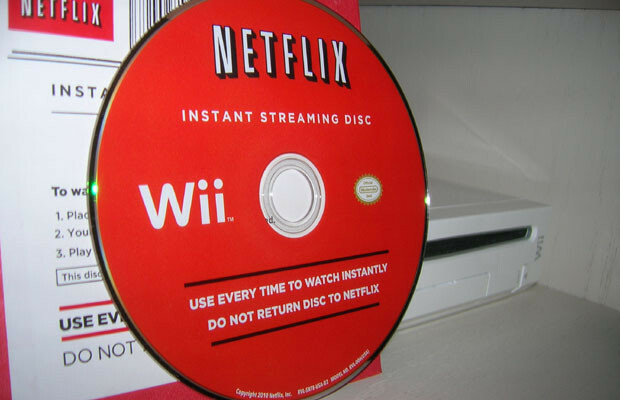 I found this image, and I think it’s pretty funny that such a disc ever existed. Most people just downloaded the channel for free from the Wii Shop. The first thing I did upon getting the Wii was boot up the Shop Channel. I had a 1000 Nintendo points card prepared for this moment, and so I redeemed it and bought PacMan. I then briefly played PacMan. This was done purely for the irony. Over winter break, as I said, I furiously played through Galaxy 2. I think I was exposed to BBC Radio for the first time during quite a bit of my play-through, as my dad had it playing loudly on the computer in the TV room. 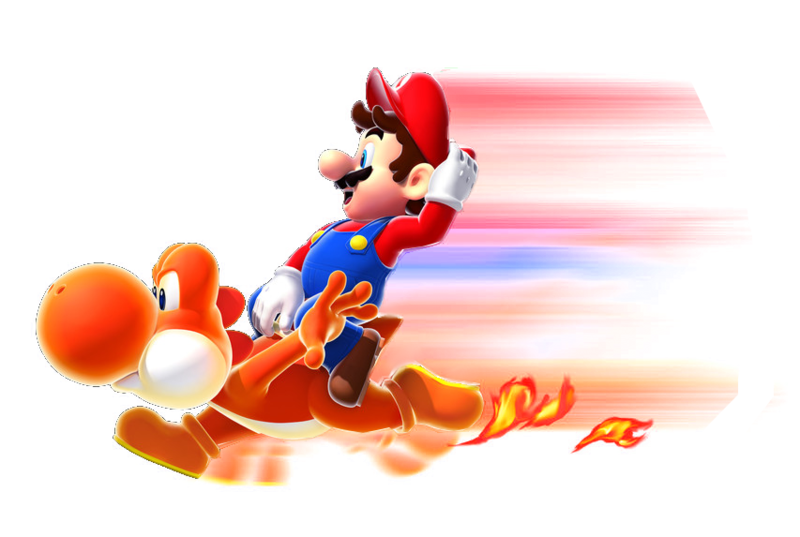 Mario isn’t a story driven game, so it can be enjoyable while multitasking, consuming two different types of entertainment at the same time. I played so much of this game that I got all 120 stars in the main story and started the Green Star second story. Essentially, there are 120 green stars hidden throughout 40 stages in the game, 3 per stage. 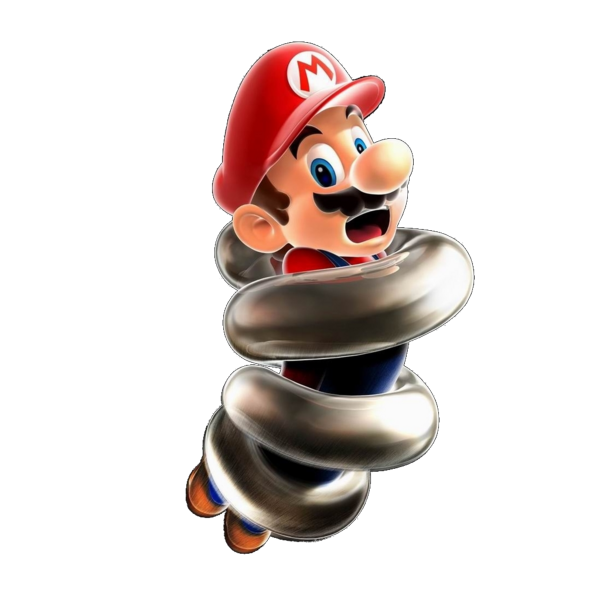 It’s similar to how they would later appear in Super Mario 3D World, except that obtaining one in Galaxy 2 takes you out of the level immediately to save the fact that you got it, just like a regular star in the game. They’re hidden, but you can try to listen for the sound the stars make as you travel through each level, and use the number given to each star you obtain as a hint for what part of the level you should look for the other stars in. It always goes in order; 1 is first, 2 is second and 3 is third. 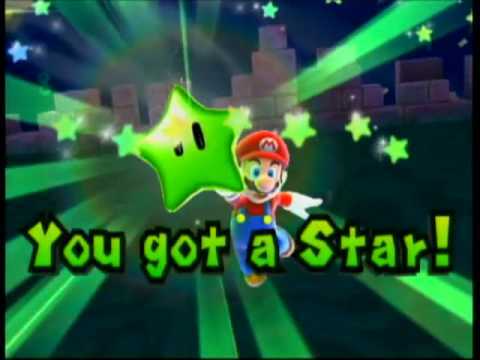 If you find Star 1, all the other stars are after the part of the level you found it in, and so on. 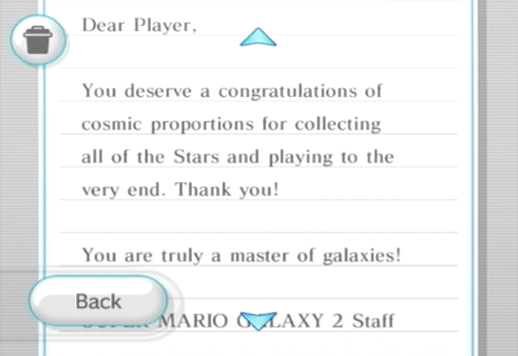 It seems that I played about 45 hours of Galaxy 2 that week, but that wasn’t quite enough to finish the game, just because of the final level. Now, I should probably mention that I beat this game entirely as Mario rather than Luigi. Maybe I have an excuse to revisit this game some day as Luigi. I’m still afraid of that final level though. The tool assisted speed run you just watched may have made it look like it was easy, but it was not. 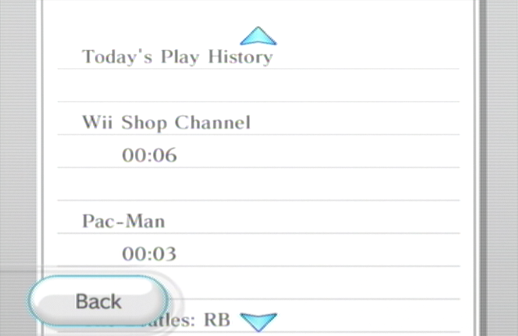 According to the calender in the data of my Wii, I played the game on March 15th during a vacation after returning to college on January 2nd. I played for hours trying to beat the final level, but it wasn’t until March 16th that I finally cleared it. Throughout the entire game I tried not to be nervous, because I knew that being nervous can cause one to make mistakes, but in the final seconds of the final level my heart started beating intensely of its own accord, and yet I still succeeded! It was a thrilling moment for me. 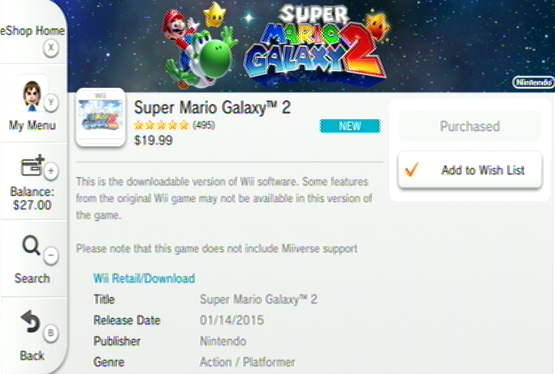 Super Mario Galaxy 2 is now available to purchase on the Wii U eshop for $19.99. If you have time to play the game, I highly recommend it.